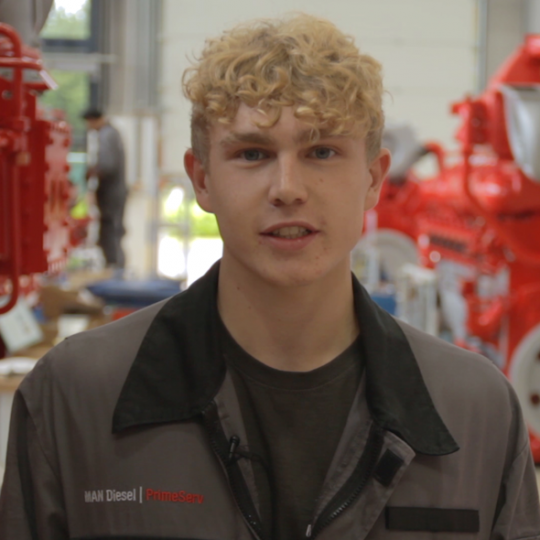 20-year-old Guy is part way through his three-year Apprenticeship and thriving. Having heard about an opening with MAN Diesel through a friend, he’s now building engine components to be used around the world, on everything from railcars in Europe to yachts on the high seas. It’s also helped him to pursue his hobby of building and riding motorbikes, having learnt new skills and knowledge through regular training courses.